Photo by John Boch for GSL/TTAG. America has changed in a lot of ways in the last 100+ years, not the least of which when it comes to the small pocket pistols we carry. At the turn of last century, just as they do today, plenty of gentleman and more than a few gentle ladies carried pocket pistols for personal protection. In bad news for today's bad guys, the technology has brought the self-defense capabilities of today's pocket guns a long way from where they started. Back in the day, a gun owner might have a tiny carried a hammerless .22 rimfire tucked away in his vest pocket or her handbag. Maybe a little revolver like this R.F. 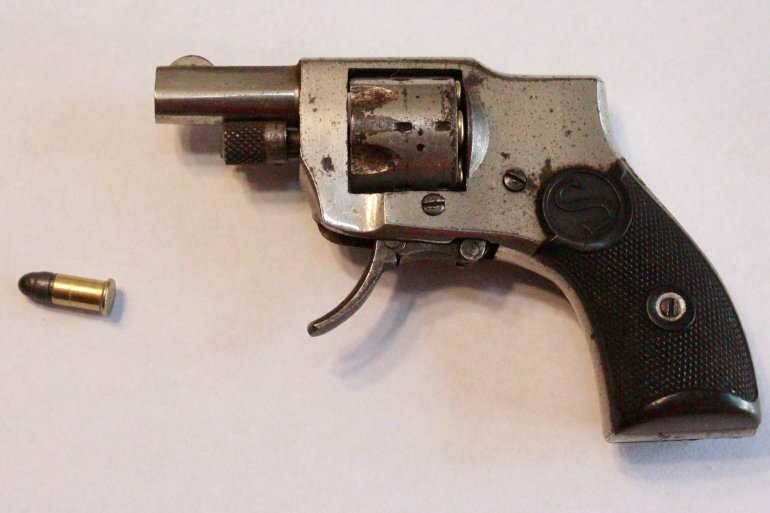 Sedgley Baby Hammerless Model 1916 .22 short with a 1 3/8ths-inch barrel. Firing the little .22 Short 29-grain lead round-nosed projectile at about 710 fps, that works out to about 32ft-lbs of energy. Not exactly inspirational when it comes to stopping power unless rabid mice want a piece of you. Yes, a true mouse gun. Old timers have told me that the danger from these little pistols wasn't dying from the gunshot, but painfully lingering for a few days before assuming room temperature due to a gut infection. No, I haven't shot this little revolver. I might test the trigger pull with CB caps, but nothing from a box that reads "high velocity" on the side. And you won't find it on any Everyday Carry posts from my pocket, either. Today Americans have embraced .380 ACP pocket pistols. Especially for self-defense with the explosion of new concealed carry licenses in states that require them – and without licenses in the 16 states that have no such requirement. 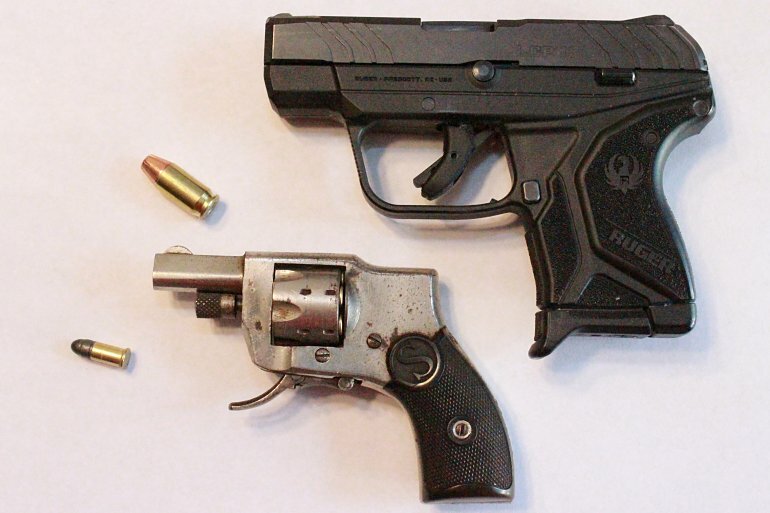 In fact, the .380 semi-automatic handguns have grown to become the second most popular caliber of handguns produced behind the 9mm. 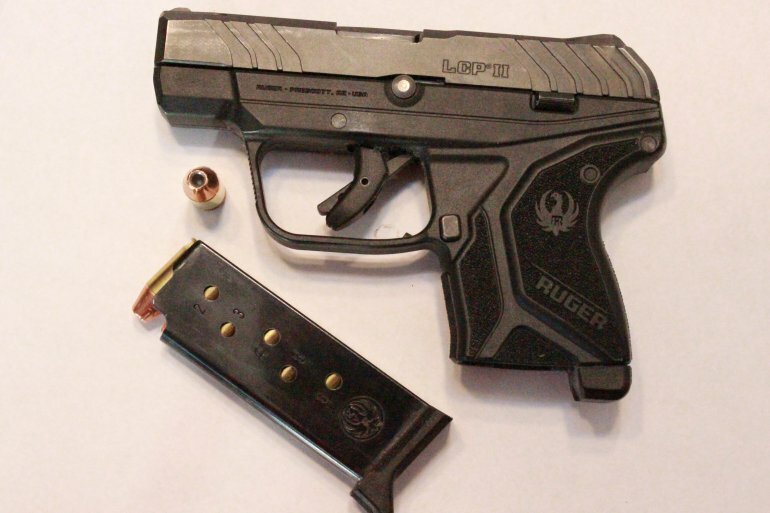 For pocket carry, the Ruger LCP II remains one of the best micro concealed carry pistols out there. TTAG rated it four-stars, denying it five stars based on the all-black sights and lack of a second mag. I used neon green paint on my front sight blade and mine came with a second mag. Hence, I'd give it a solid five stars. Barely bigger than the Baby Hammerless, and weighing in at just over 10 ounces, the slim polymer frame, double-action LCP II slipped into a pocket holster fits neatly into even the smallest pockets. Even better, it carries one extra round for a total of seven shots of more powerful .380 Auto for effective personal defense. With a 6-round magazine filled with Hornady XTP 90-grain rounds, the 2.75" barrel produces about 900fps, or about 162 ft-lbs of energy. While 162 ft-lbs isn't exactly a bear-stopper, it certainly beats the incredibly anemic 32 ft-lbs from the Baby Hammerless .22 short. 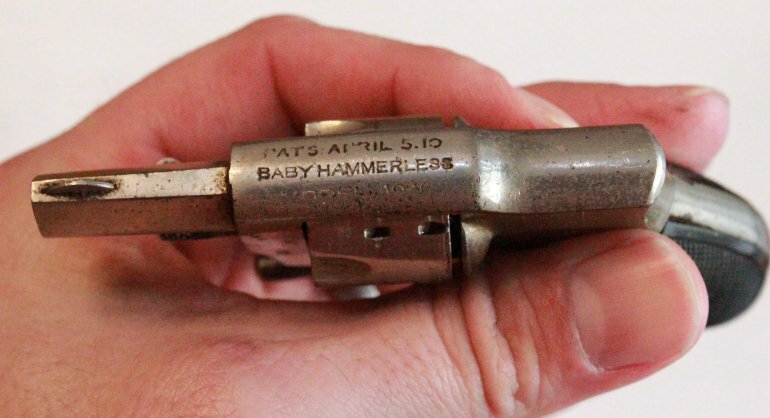 What's more, that little LCP II, in even marginally skilled hands, will make consistent hits out to twenty-five yards, something I'm not sure the Baby Hammerless could do. Unless, of course, the target spans the side of a large barn. Bottom line: It's good to live in today's world. What's your pocket carry gun of choice? Do you carry a semi-auto, either as a primary or backup? 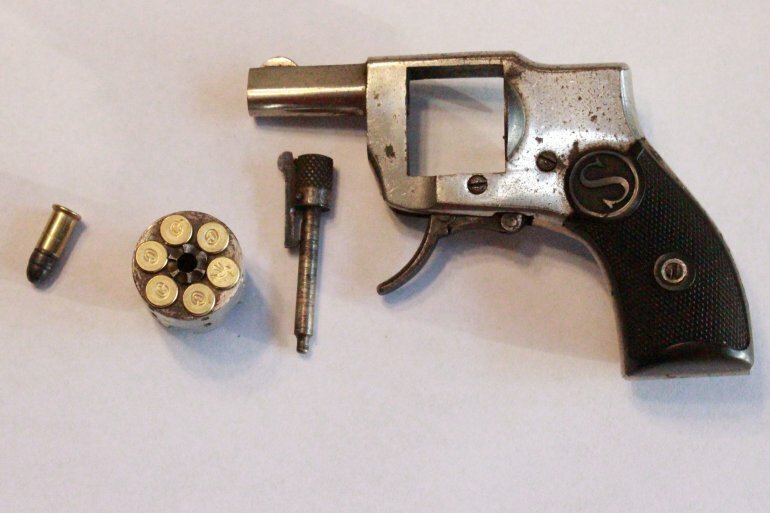 A Bond Arms derringer or a modern mini revolver like one from North American Arms? Maybe a Smith & Wesson J-frame? Do you pocket-carry something larger form GLOCK, Kahr or Beretta? Let us know what your favorite is and why in the comments. This entry was posted on March 24, 2019 at 7:41 am and is filed under GunNews. You can follow any responses to this entry through the RSS 2.0 feed. You don't have to go back 100 years to see and feel the difference. All I have to do is compare my Detonics Pocket Nine from 1985 to my Boberg XR 9 from 2012. The Detonics started it all on shrinking the size of the 9mm pistol but is the differences in size and weight in 27 years is amazing. A nice firearm the LCP II. Some people's key chains are heavier in the pocket than the LCP. People talk smack about it being chambered in .380 but it was a .380 that began WWI. Ouch!